Students in grades 1 – 12, including home-schooled students, who attain an overall B average for the grading period, may bring their report cards to MCX within 30 days to receive a scratch-off card with a guaranteed prize. Simply bring a valid Military ID card and the most recent report card to Customer Service to receive a scratch-off card valued at $5, $10, $25, $50, $100 or $250. Parents of a newborn may visit MCX within 90 days of the birth of their child and present a copy of the birth certificate to Customer Service. 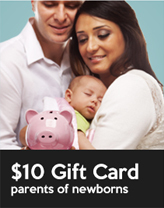 In turn, the parents will receive a $10 gift card, which may be applied towards any in-store purchase. To learn more about how to shop confidently for your newest family member, please click here to view the Baby & Me Flipbook. If you are unable to view the link above, click here to download the PDF version. 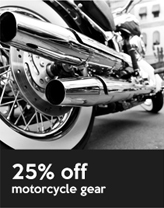 Receive a coupon for 25% off motorcycle safety gear and accessories by completing one of the following official Marine Corps motorcycle training courses: Basic Rider Course, Experienced Rider Course or Military Sport Bike Rider. Discount may be applied to motorcycle helmets, jackets, gloves, pants, vests, suits, boots and sunglasses. To learn more about motorcycle training courses, please click here. To register for a course, contact your installation, base or station traffic safety office for assistance.